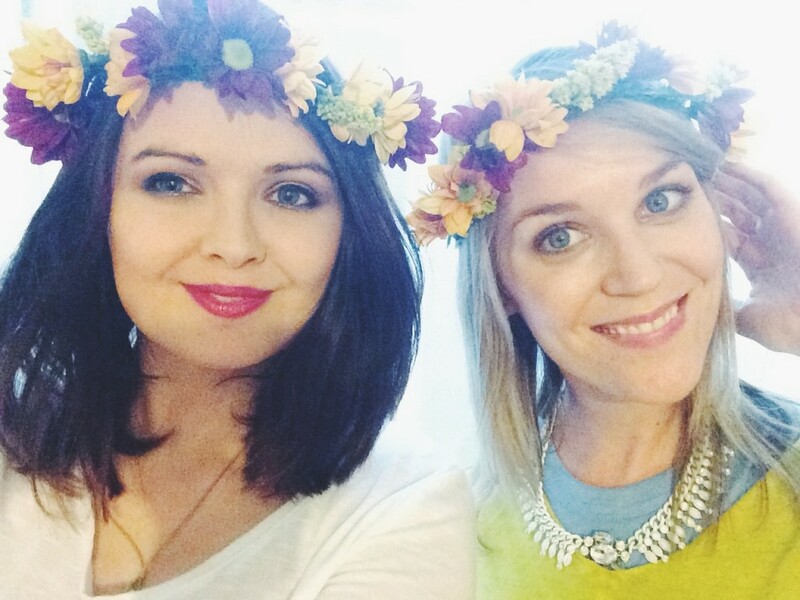 The lovely Aisling and I got together this weekend to catch up and make a few autumn colour DIY fresh flower crowns. 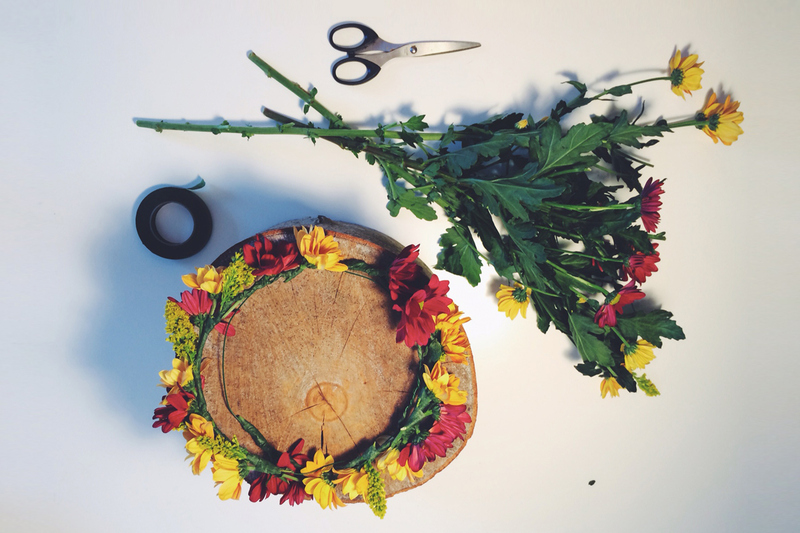 All you need is a bunch of flowers, florist wire, florist tape, a cup of tea and a good friend! I found it a lot easier to work with these type of flowers then the roses, they were a lot easier to direct, the stems were a lot softer. 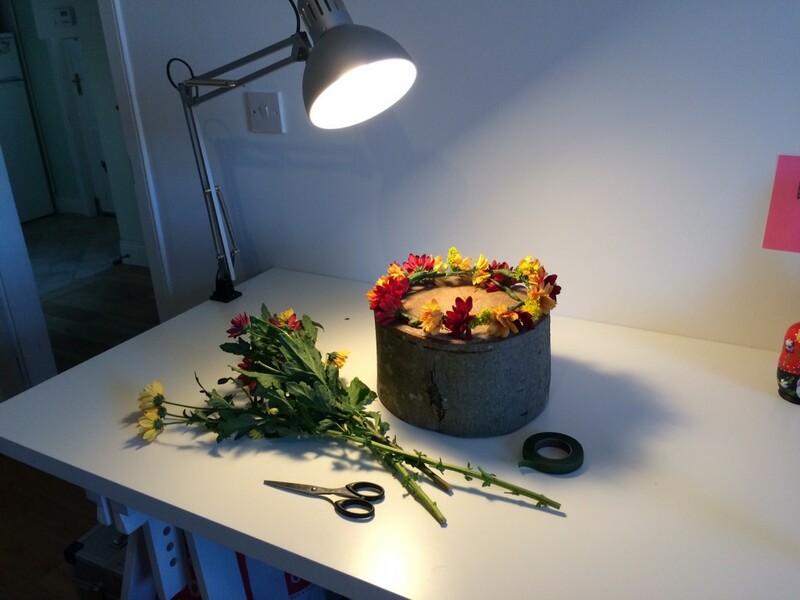 See my valentines rose flower crown here. 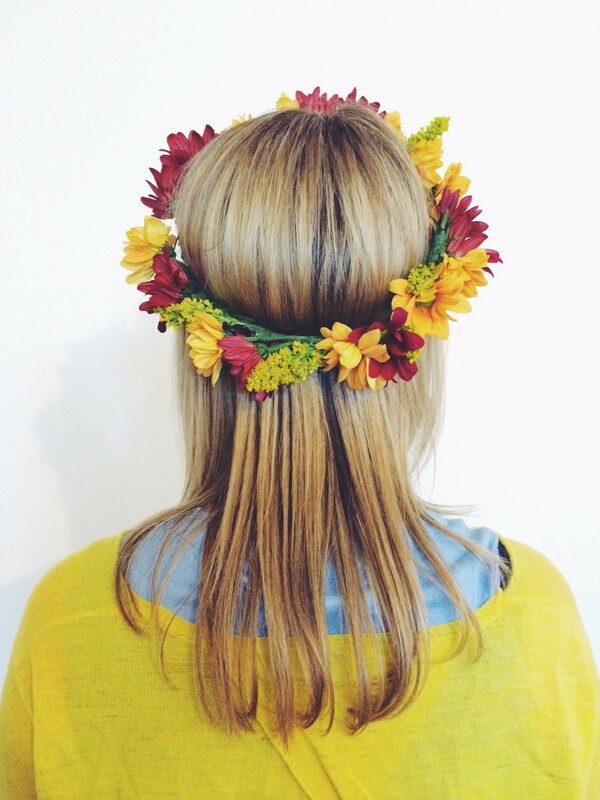 I would have liked to use a little more filler between the flower heads – maybe something full and airy like baby’s breath? Ill have to get it in for next time! Ta Da! Oh and you can visit Aisling’s blog here.